This project included new branding and WooCommerce. Nice words from Robin, owner of Ms. Rowley’s. I love my website! Thauna was great to work with and very professional. 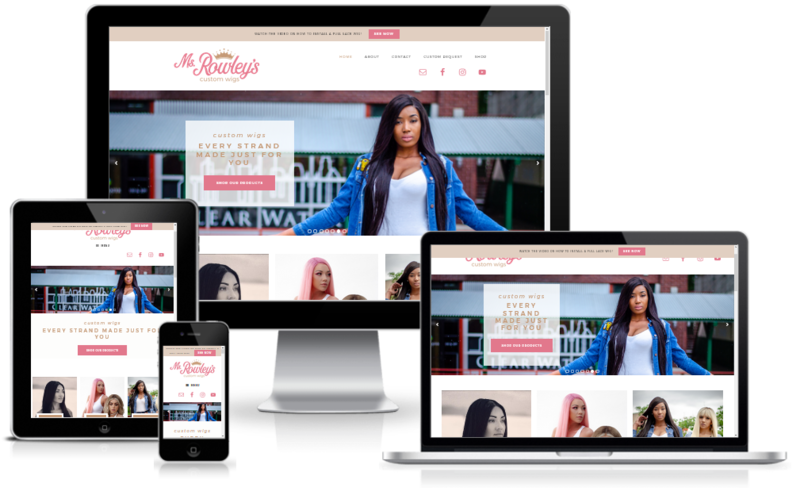 My site was done quickly and it looked even more amazing than I imagined. I would definitely use her again! And it’s look great on mobile! Looking good on mobile devices is absolutely necessary and this site delivers all the way through purchasing your new wig.